Hoffman Solid panel features 14-gauge steel construction and white polyester powder paint finish. 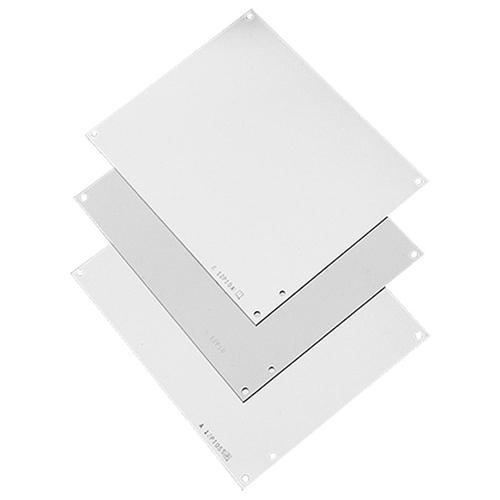 This square panel is suitable for use with 20-Inch x 20-Inch NEMA 3R, 4, 4X, 12 and 13 enclosures. It measures 17-Inch x 17-Inch. Panel is EU certified and RoHS compliant.